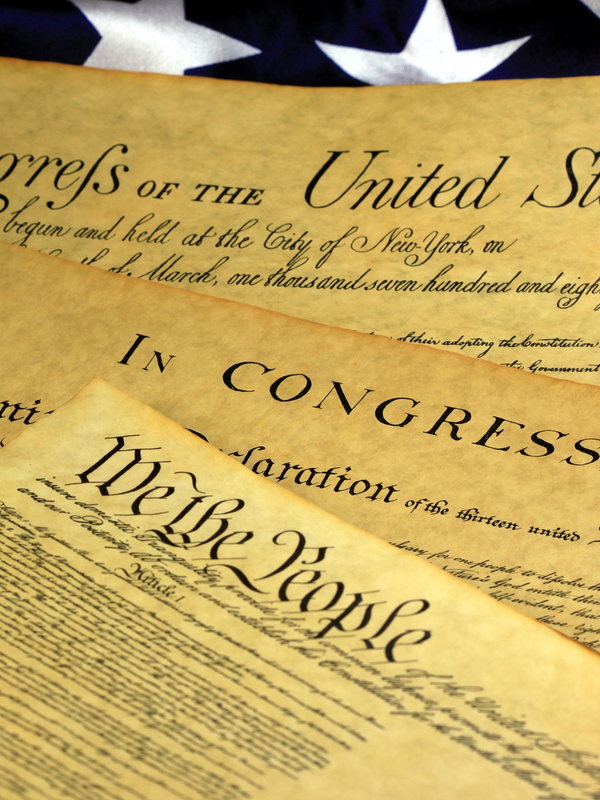 Our three most cherished national documents; the Constitution, Declaration of Independence, and the Bill of Rights (licensed image from BigStockPhoto). [file:field-file-name-of-photo]; . Photo by [file:field-file-photographer]/[file:field-file-source] ([file:field-file-license]). 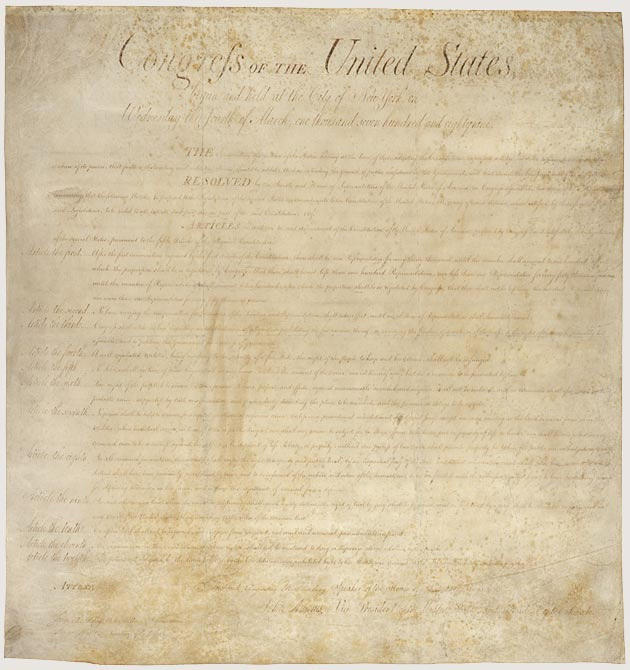 The Bill of Rights; public domain image from National Archives.